Bows & Arrows X Vault “Have a Nice Trip” from The Popular Workshop on Vimeo. 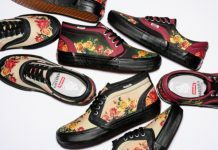 Vans Vault have teamed up with none other than Bows & Arrows for this latest pair of kicks, and if the hot new look for the sneakers wasn’t enough, the two entities have collab’d to bring you this video highlighting their new goods. 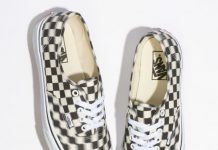 Shot in a retro-tastic black and white, this grainy vid shows some skaters doing what they do best in their new Bows & Arrows x Vans Vault kicks. If you’re feeling these you can cop them December 18th.